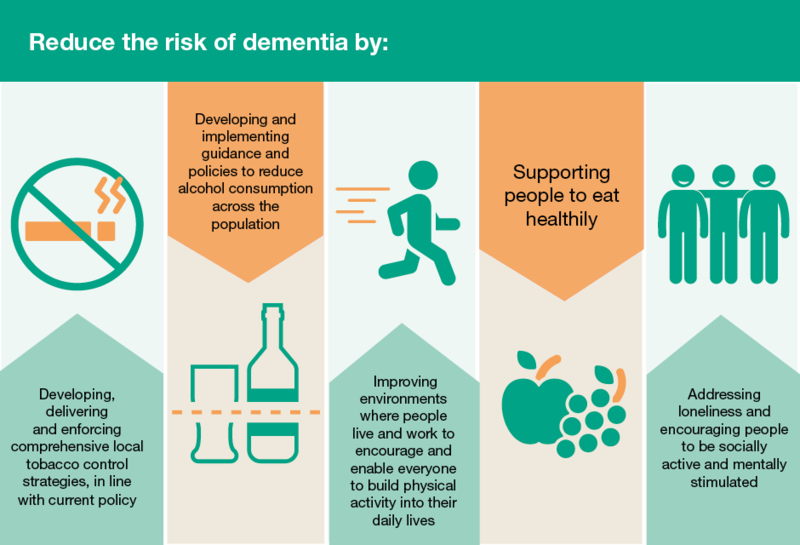 Potentially up to a third of dementia cases may be attributable to potentially modifiable lifestyle risk factors. This is the fourth edition of PHE’s Health Matters, a resource for public health professionals, which brings together important facts, figures and evidence of effective interventions to tackle major public health problems. This edition focuses on midlife approaches to reduce the risk of developing dementia, and the importance of moving away from thinking of dementia as simply an inevitable part of ageing. Fenton, K. PHE Blog. Published online:22 March 2016. As waistlines continue to expand across the country (62% of adults are overweight or obese), diagnoses of Type 2 diabetes are also rising. The cost of treating diabetes, and associated complications such as heart disease and stroke, is costing the NHS around £10bn every year. Trends are only going one way – with one in ten adults expected to be diagnosed with Type 2 diabetes by 2034. The programme aims to identify those at high risk and refer them into evidence-based behavioural interventions to help them reduce that risk through achieving and/or maintaining a healthy weight, recommended levels of activity and a healthy, balanced diet. Data from 36 studies were included in this review, which revealed an average 26% reduction in new cases of Type 2 diabetes in those participating in a diabetes prevention programme, compared with usual care, although some studies achieved greater reductions. The strongest elements of the programmes we studied (for example, a greater number of sessions over a longer period of time) have been taken forward into our programme. Bristowe, K. et al. Palliative Medicine. Published online: March 4 2016. Background: Socially excluded populations have poorer access to care; however, little attention has been paid to lesbian, gay, bisexual and/or trans* people. Lesbian, gay, bisexual and/or trans* people are at increased risk of certain life-limiting illnesses and may not receive the care and support they need at the end of life and into bereavement. Aim: To identify and appraise the evidence of the bereavement experiences of lesbian, gay, bisexual and/or trans* people who have lost a partner and develop an explanatory model of lesbian, gay, bisexual and/or trans* partner bereavement. Design: Systematic review (in accordance with the Preferred Reporting Items for Systematic Reviews and Meta-Analyses guidelines) and thematic synthesis with assessment of reporting and rigour. Quantitative or qualitative articles reporting bereavement experiences of lesbian, gay, bisexual and/or trans* partners were included, excluding articles reporting multiple losses in the context of HIV or AIDS. Data sources: PsycINFO, MEDLINE, Web of Science, Scopus, Cochrane Library. Inclusion dates: database inception – 30 April 2015. Results: A total of 23 articles reporting on 13 studies were identified. Studies described universal experiences of the pain of losing a partner; however, additional barriers and stressors were reported for lesbian, gay, bisexual and/or trans* people, including homophobia, failure to acknowledge the relationship, additional legal and financial issues and the ‘shadow’ of HIV or AIDS. A novel model was developed to explain how the experience for lesbian, gay, bisexual and/or trans* people is shaped by whether the relationship was disclosed and acknowledged in life and into bereavement and how this impacts upon needs and access to care. Conclusion: There is a need for healthcare providers to avoid hetero-normative assumptions; be mindful of additional stressors in bereavement for lesbian, gay, bisexual and/or trans* people; and consider additional sources of support to deliver individualised holistic care. Objective: To determine the association between subjective social status (SSS), or the individual’s perception of his or her position in the social hierarchy, and the odds of coronary artery disease (CAD), hypertension, diabetes, obesity and dyslipidaemia. Methods: We searched PubMed, MEDLINE, EMBASE, CINAHL, PsycINFO, SocINDEX, Web of Science and reference lists of all included studies up to October 2014, with a verification search in July 2015. Inclusion criteria were original studies in adults that reported odds, risk or hazard ratios of at least one outcome of interest (CAD, hypertension, diabetes, obesity or dyslipidaemia), comparing ‘lower’ versus ‘higher’ SSS groups, where SSS is measured on a self-anchoring ladder. ORs were pooled using a random-effects model. Results: 10 studies were included in the systematic review; 9 of these were included in the meta-analysis. In analyses unadjusted for objective socioeconomic status (SES) measures such as income, education or occupation, the pooled OR comparing the bottom versus the top of the SSS ladder was 1.82 (95% CI 1.10 to 2.99) for CAD, 1.88 (95% CI 1.27 to 2.79) for hypertension, 1.90 (95% CI 1.25 to 2.87) for diabetes, 3.68 (95% CI 2.03 to 6.64) for dyslipidaemia and 1.57 (95% CI 0.95 to 2.59) for obesity. These associations were attenuated when adjusting for objective SES measures, with the only statistically significant association remaining for dyslipidaemia (OR 2.10, 95% CI 1.09 to 4.06), though all ORs remained greater than 1. Conclusions: Lower SSS is associated with significantly increased odds of CAD, hypertension, diabetes and dyslipidaemia, with a trend towards increased odds of obesity. These trends are consistently present, though the effects attenuated when adjusting for SES, suggesting that perception of one’s own status on a social hierarchy has health effects above and beyond one’s actual income, occupation and education. Objective: To compare consistency of adverse drug reaction (ADR) data in publicly available product information documents for brand drugs, between the USA and Europe. To assess the usefulness of information for prescribers and patients. Design: A comparison review of product information documents for antidepressants and anticonvulsants concurrently marketed by the same pharmaceutical company in the USA and Europe. Setting: For each drug, data were extracted from the US Product Inserts and the European Summary of Product Characteristics documents between 09/2013 and 01/2015. Participants: Individuals contributing ADR information to product information documents. Main outcomes measures: All ADRs reported in product information sections 5 and 6 (USA), and 4·4 and 4·8 (Europe). Results: Twelve brand drugs—24 paired documents—were included. On average, there were 77 more ADRs reported in the USA compared with in the European product information document, with a median number of 201 ADRs (range: 65–425) and 114 (range: 56–265), respectively. More product information documents in the USA reported information on the source of evidence (10 vs 5) and risk (9 vs 5) for greater than 80% of ADRs included in the document. There was negligible information included regarding duration, severity, reversibility or recurrence of ADRs. On average, only 29% of ADR terms were reported in both paired documents. Conclusions: Product information documents contained a large number of ADRs, but lacked contextual data and information important to patients and prescribers, such as duration, severity and reversibility. The ADR profile was found to be inconsistently reported between the USA and Europe, for the same drug. Identifying, selecting, summarising and presenting multidimensional harm data should be underpinned by practical evidence-based guidelines. In order for prescribers to provide considered risk-benefit advice across competing drug therapies to patients, they need access to comprehensible and reliable ADR information.